"The lord of murder shall perish..."
Some of the most iconic RPG titles ever are coming to console for the first time. 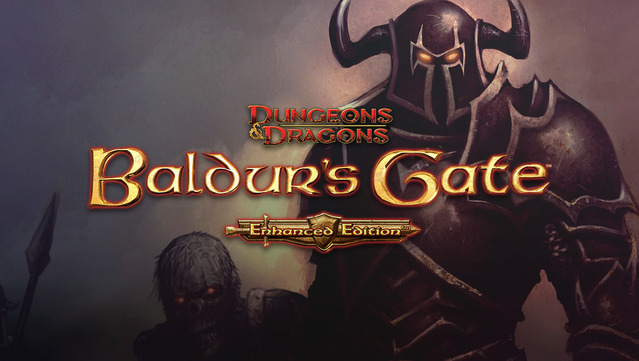 Today Skybound Games announced a partnership with Beamdog that will see Baldur’s Gate, Baldur’s Gate ll, Baldur’s Gate: Siege of Dragonspear, Icewind Dale, Planescape: Torment, and Neverwinter Nights release to consoles in 2019. Beamdog was responsible for bringing Enhanced Editions of each acclaimed title to PC. Both Baldur's Gate and Icewind Dale garnered strong praise from our own Chris Brown – each scoring 9/10. “These games are iconic, including Baldur’s Gate, which has really set the standard for Dungeons & Dragons computer roleplaying games,” said Skybound Games CEO Ian Howe. It's yet to be revealed which specific consoles these titles will release on, but I've got my fingers crossed for a Switch version.